Hi all just wanted to let you know that Chow and Chatter has been added to AllTop, I simply submitted for review and they added to food section how cool. Its a wonderful site and fun way to browse headlines of topics that interest you it is described as the “online magazine rack” of the web. Fellow bloggers fill out the submission form and make your own alltop page to stay up to date from the stories that interest you. Congrats Rebecca! Possibly you'll have extra traffic, they are awesome. I'm listed also there. You never fail to amaze me and thank you for sharing Rebecca.. you are always willing to share what you knot to fellow bloggers like me! Congrats Rebecca, you are deserved for this! Congrats babe! 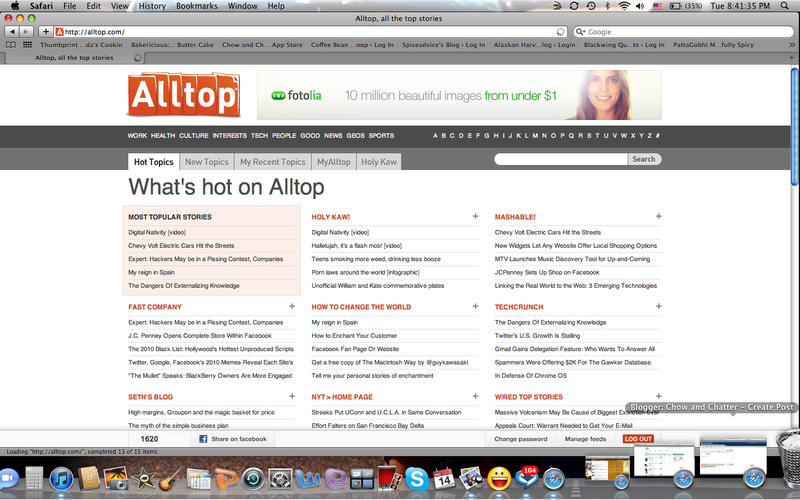 I have no idea what alltop is..have to check it out! Congrats Rebecca! Sounds interesting, Can I join? 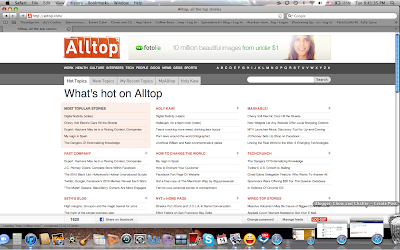 I don't know what alltop is either,..I will have to check it out! That is a great site. 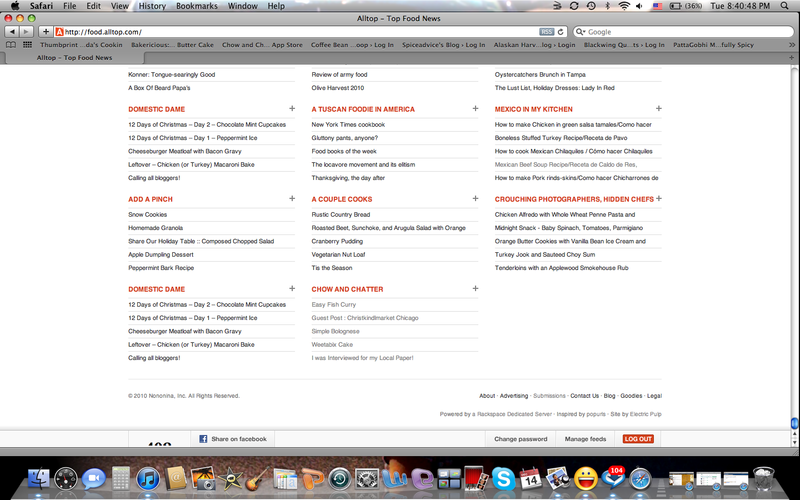 I love all the sections they have. Look at you go Rebecca! I will most definitely check this site out. This is the first I've heard of it. Congrats Rebecca! Thanks for sharing. Don't really know alltop but I'm sure they will love having you. Very cool! I hadn't heard of Alltop before either! Looks like a great site. I have to check the site! sounds great! congrats Rebecca this is cool...will look into the site! huh, I've never heard of this - great to know!